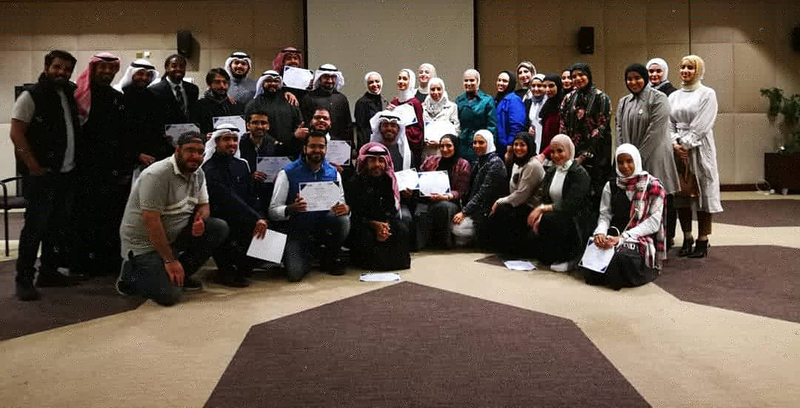 (IYF Kuwait): On 31 January 2019 The International Youth Federation Country Team in Kuwait has celebrated the first graduates of the Young Development Leaders Programme in Kuwait, in collaboration with Kuwait Youth Public Authority, Youth News Network (YNN) and Hashtagat Online Newspaper. The five-day pioneer programme is part of the IYF of Youth Leaders for Sustainable Development Project (YLSDP), focusing on cultivating Kuwaiti future leaders and sensitize them on the Sustainable Development Goals (SDGs) in line with Kuwait 2035 vision which represents a new national vision to transform Kuwait into a regional financial and commercial hub for the northern Gulf by 2035. The programme aim to Support the exchange of knowledge and solutions, and facilitate mutual learning among young people in Kuwait, and capacitate young people’s skills and abilities in the field of leadership, communications, public speaking and preparing scientific materials, as well as improving their knowledge of sustainable development, and engaging young participants in an open dialogue around youth empowerment, innovation and development issues. The closing ceremony attended by Dr. Mona Mubarak bin Ali, IYF Representative in Kuwait and the Representative of the Kuwait Youth Public Authority was to honor the 42 participants who successfully participated in the programme in its first phase, while there will be a second phase for advanced training.